According to Macrobiotic Nutritionist and Health Practitioner Shilpa Arora, "The fats you eat make up the majority of your cell walls, so a low fat or a no fat diet makes your cell wall inflexible and extremely difficult for nutrients to pass through and feed your cells. Not all fats are bad. You just need to known the difference." The moral of the story being that certain kind of fats can actually help you lose your body fat and avocados belong to this category. Avocado is the new superfood kid on the block. The Avocado tree is native to South Central Mexico but the savoury fruit is now being prized all over the world because of its wonderful nutritional properties. The rich flavour and the creamy texture is not only great to make the famous Guacamole dip, but it can also add good quality nutrition to your daily diet. Avocados are full of Vitamin K, Vitamin C, Folate and are a great source of healthy fats known as the monounsaturated fats (MUFAs). The plant-based fats are known to be good for your heart and also help you lose weight by helping you feel full. The role played by avocados in weight loss has been supported by a new study published in the Journal Internal Medicine Review. Researchers have found that eating avocados regularly may help maintain your body mass index (BMI) and also fight belly fat. For the study, the team assessed a representative sample of 29,684 adults (ages 19 years and older). It was seen that people who avocados were 33 per cent less likely to be overweight or obese and 32 per cent less likely to have an elevated waist circumference compared to non-consumers. On an average, avocado consumers weighed 7.5 lbs less, had a mean BMI of 1 unit less and 1.2 inches smaller waist circumference compared to non-consumers. Avocado consumers also has less carbs, added sugars and sodium which led to more stable insulin levels along with reduced levels of homocysteine which is associated with an increased risk of cardiovascular disease. The healthy fats in avocados - MUFAs are also the reason why the miraculous Mediterranean diet is regarded as one of the healthiest diets. Other foods that are rich in MUFAs are olive oil, peanuts, almonds, cashews and pistachios. Besides this, avocados can also be a part of your overall healthy diet as they provide dietary fibre, vitamins E and C, folate, magnesium, copper and potassium. Fiber is another component that helps in weight loss as it takes longer to digest and thus, keeps you satisfied and full while preventing mid-meal cravings. Avocados are great to fit into your weight loss diet as a 50 gram serving only contains 80 calories (as per USDA). 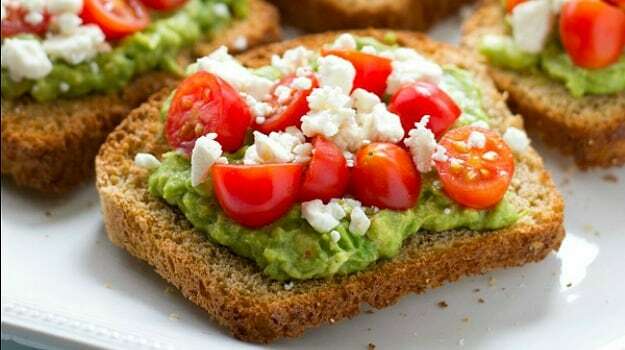 They make for a great energy-boosting breakfast in a sandwich or just bung few slices on toast. 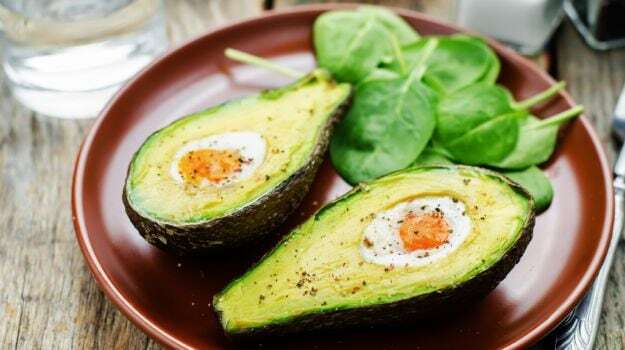 When combined with eggs, avocados make for a protein-rich post workout snack. If you are a regular at the gym, avocados are a must in your diet as they are rich in potassium. Potassium acts as an electrolyte, helps build muscles and breaks down carbohydrates. It's perfect for summer salads and you can even blend it into your smoothie to add some depth and extra flavour. If you're looking for something desi, try the avocado lassi that will keep your energy levels up on a hot day.